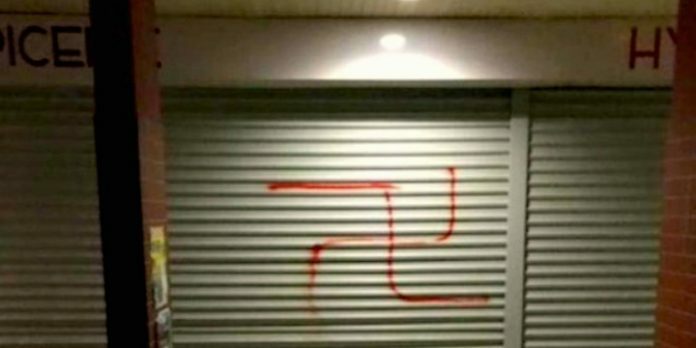 Antisemtic graffiti (illustrative). Photo: courtesy of jforum.fr. The number of antisemitic hate incidents in the UK fell slightly in the first half of 2018, but remained high historically, new data published by the Community Security Trust (CST) revealed. According to the CST, there were 727 antisemitic incidents across the UK in the first six months of 2018, the second-highest total the CST has ever recorded for a January-June period, but an 8% drop from the corresponding time frame in 2017, when there were 786 such occurrences. The most common type of antisemitic incident in the first half of 2018 involved “verbal abuse randomly directed at visibly Jewish people in public,” the CST said. Three-quarters of the overall number of incidents took place in the London and Manchester areas, home to the UK’s two-largest Jewish communities. Next articleShould People Think We Sing ‘Why Mourn? Why Suffer? Let’s Go Dance’?